Oak Hill is a wonderful place. It’s got everything you could ask for. It’s a great place to visit and an even better place to live. With the great schools and close access to both Franklin and Nashville, Oak Hill is one of the hot spots to live in Middle Tennessee. With all that said, we haven’t even touched on the biggest and best attraction of living or working in Oak Hill. 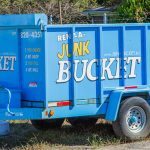 The number one reason that people are falling in love with Oak Hill (according to a recent study that we conducted ourselves) is the fact that they have access to the one and only Junk Bucket Dumpster! 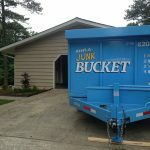 The awesome people of Oak Hill are simply falling in love with the Junk Bucket Dumpster. There are many reasons behind this phenomenon too. One being the fact that we have the absolute best customer service in the industry. Our customers and their needs always come first. 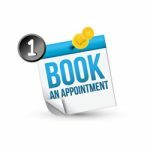 We ensure that you are happy before all else. Another reason the people of Oak Hill choose Junk Bucket Dumpsters over the competitors is the look. Vanity never dies, lol. 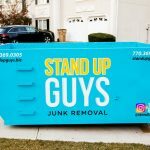 With a beautifully sleek designed, baby blue Junk Bucket in your driveway you’re sure to make all your neighbors jealous. They’ll wonder how you had such an ‘in’ that you were able to swing getting such a top of the line dumpster apposed to the ugly dented ones you see elsewhere. 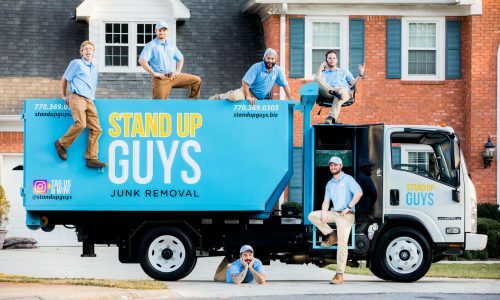 Now that you’re convinced and you’re sure you want to be on the right side of the cool spectrum and rent yourself a Junk Bucket Dumpster, the rest is simple. 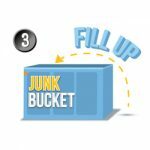 Ordering, filling and removing your Junk Bucket is so simple a caveman could do it! 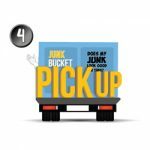 First just pick up the phone and give us a call at 615-647-0634 and let us know when and where you want your Junk Bucket. At the time that YOU requested. 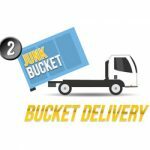 We will deliver your Junk Bucket and place it where YOU want it. Then YOU get to fill it up on YOUR timeline. Take your time and fill up that bad boy at your pace. Quick or slow, we don’t mind. Once you are done though and all the junk is out, just give us another ring and that’s that. We’ll be out asap to pick up the Junk Bucket and dispose of everything properly. Just like that all the junk is gone and you’re a happy camper.